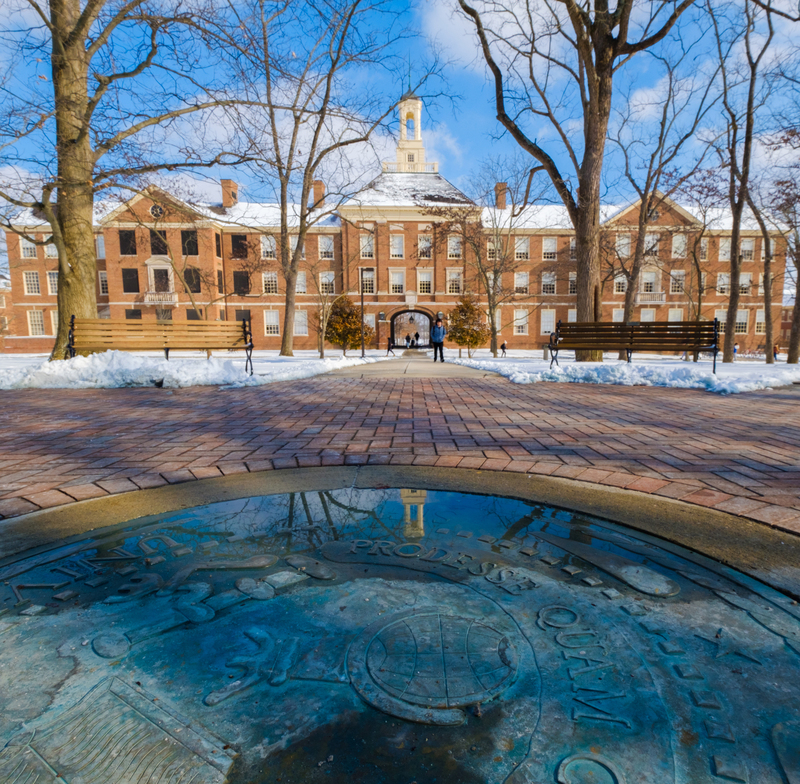 "Miami offers so many opportunities (even if it may seem like there's no program for certain areas of study), so don't give up looking no matter how discouraging it may feel at times. Also, don't be afraid to try something new or different that may not connect completely to your major or specific area of study. Do something that interests you, not something that limits you." "I applied to Miami wanting to pursue my passion for foreign languages and cultures but not knowing exactly how to do it or what it would turn into. I chose majors in International Studies and French and started studying Arabic and Chinese with the intention of studying abroad as much as possible. Naturally, anything that I could find pertaining to any of these things became important to me. "What I didn't know in the beginning was how well I would fit in my particular area of study and how open it would be to customization. Having a rough idea of my interests opened up so many possibilities that allowed me to make choices I didn't know I had, and this served as a foundation for my own goals. 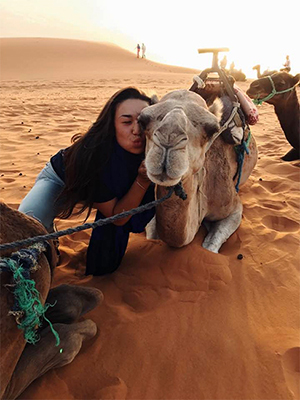 "For example, studying French led me to Arabic, which interested me in discovering the myriad relationships between the two, leading me to pursue independent research opportunities in France, which would later contribute to a study abroad application to Morocco — which is where I am right now!" "My Miami professors and advisors have been extremely helpful, especially after I reached out to them. The most prominent figures are visiting assistant professor Jon Otto and senior lecturer Melanie Zeigler (both from International Studies in the Department of Global and Intercultural Studies) and associate professor Elizabeth Hodges and visiting assistant professor Anna Keefe (both from the Department of French & Italian). "Dr. Otto and I worked together on an honors extension for his course Problems of Non-Western Societies [Honors ITS 302], which included an independent research project abroad in France for Spring 2017 and a study abroad application for Morocco in Fall 2017. Because of his expert guidance and our regular after-class conversations, I became more comfortable speaking not only academically about my studies but personally as well. My second semester at Miami was definitely characterized by this strong relationship, which surely will shape the rest of my academic career at Miami — and I believe this was the goal of the Honors Program's Course Extension option. Dr. Otto also guided my research question, methodology, and synthesis as I completed my first independent research project, and I couldn't have asked for a better professor to help me succeed. "As my advisor for International Studies, Dr. Zeigler has the answers to everything. Without her advice and knowledge, navigating two majors and a minor would have been much more difficult. She was always open to speaking and laughing together whenever I felt a little lost! "Dr. Hodges and Dr. Keefe were two of my French professors who not only taught life-changing courses but helped solidify my French speaking skills and provided me with the challenges I craved. As my major advisor, Dr. Hodges opened up opportunities for me in study abroad, research, and different media through which I could strengthen my functional language skills. Without her help, I would not have been aware of these opportunities. In fact, Dr. Hodges recommended that I approach Dr. Keefe, who was teaching a course on Francophone Sub-Saharan African cinema and literature — something that I'm finding extremely useful in Morocco right now. Her lessons have added nuance to my interpretations and reflections on culture, society, and migration, especially given the recent influx of sub-Saharan migrants to Morocco. "There are a few others who have played a major part in making my Miami experiences so special. Lauren Brassfield in the Honors Program always kept me informed about study abroad grants and Honors opportunities. Saeda Abu Attiyeh is currently a graduate student whose lessons in Arabic gave me perspectives that made me rethink how I learn languages and my positionality within them. Su Liu is a lecturer of Chinese whose emphasis on speaking solidified my interest in that language. "Finally, I must mention all my lovely friends I've made here at Miami who have always been there when I needed them most." "Having a double major in the liberal arts has introduced me to a number of amazing courses, including Dr. Otto's Problems of Non-Western Societies, which has been my favorite and most influential course at Miami so far. Because it was an Honors course extension, Dr. Otto and I were able to shape the focus in a way unique to my personal goals while connecting it to the broader context of the class. "This course allowed me to conduct research in Lyon, France that focused on developmental discourses and the influence of exclusionary social categories. While there, my study shifted to the role of migrants, immigrants, and refugees in France's own identity crisis, and the discourses they have created together that reveal their collective tension and disillusionment with an old, disjointed social system. "The second part of the course extension was a culmination of raw data, analyses, and conclusions which I submitted separately from the final paper. I appreciate very much Dr. Otto's attention to detail, guidance, and interest that he showed me throughout the semester. He was always open to after-class discussion about anything relevant to the lecture or life in general (basically everything!)." "As I write this from a rooftop terrace in Rabat, Morocco — a place I couldn't have dreamed of one year ago — I cannot imagine where the next year will lead me. At this moment, all I can confirm is that I am where I belong mentally and physically, at a university that allows me to reach beyond my goals. I truly feel that my first year at Miami was exactly as I created it. 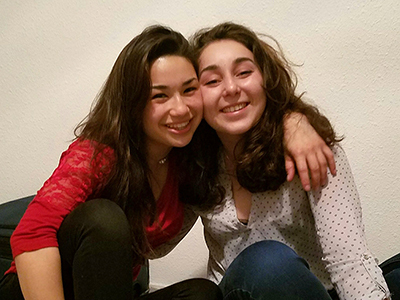 "While I was in France doing research for Dr. Otto's Honors course extension, I knew I belonged. I was in a place where I could explore my own questions on the topics of immigration and perceptions of identity within Lyon, a migrant transit and (re)settlement city. This exploration led me to an understanding of why people express themselves in certain ways given their positionalities, perceived or otherwise. "I spoke with both refugees on the street and university students and also conducted observant research. The experience made me think of several other relevant topics to consider in the future. Because I was using French the entire time, my conversational and academic language skills definitely improved. On top of that, the pure interaction helped me understand refugees and migrants in general and how I could involve myself further in their perspectives. The culmination of this research went into a paper that I submitted as the backbone of my application into SIT's Migration and Transnational Identity program. "This process has taught me that writing is hardly the same for different disciplines. I feel that my research paper not only represents the most career-relevant piece of writing I've done, but also something I can build on for future applications to national scholarships or other independent study projects. The class solidified my belonging in both my majors and reinforced the ties between various areas of study that interest me. "Here in Rabat, I'm continuing my research on migration and transnational identity and interning with an organization called Fondation Orient-Occident, which deals with undocumented migrants and refugees that come to Morocco from mainly Francophone Africa. While in France, I gained a perspective that has helped me analyze more carefully the relationships Morocco has with Europe, the Arab world, the Muslim world, and Africa — all regions that Morocco is a part of. I've also found that the politicized perspective of immigrants and migrants I encountered in France is paralleled here in Morocco; both French and Moroccans sadly use many of the same nationalist, discriminatory, and stereotypical discourses against these groups. "As I continue to interact with migrants and refugees from all over the Middle East and North Africa, I've learned more about my positionality based on my own background. SIT's focus on ethical human subjects research has been a great help in increasing my awareness. After Morocco I plan to continue applying for international language scholarships and internships at NGOs or multinational organizations. 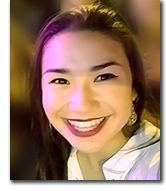 Although I still do not know my career path, I intend to follow these interests to find out." "Outside of my studies and research projects, I've always found it important to spend time doing things that I enjoy: playing piano, drawing and sketching, painting, cooking, baking, eating out, reading, watching movies, hanging out with friends, going on long walks, listening to loud music, travelling, and exploring. I also play soccer and slalom ski competitively. On campus in particular I like meeting new people, laying outside in the sun, and getting involved in student organizations. I've even recently gotten into dancing, which is great as an involuntary enterprise-turned-stress reliever! 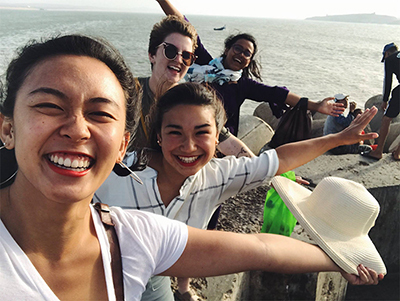 "One thing I wish I'd known before I started the process of studying abroad was how helpful and supportive my advisers and professors would be. Take advantage of their expertise! Miami offers so many opportunities (even if it may seem like there's no program for certain areas of study), so don't give up looking no matter how discouraging it may feel at times. "Also, don't be afraid to try something new or different that may not connect completely to your major or specific area of study. Do something that interests you, not something that limits you. Good luck and happy travels!"